I have always loved the color red (it is by far my favorite) , and love incorporating it into my outfits in some shape or form. Whether it be in my signature red lips or a novelty bag, it always appears somewhere in my daily looks. That's why I love this moto jacket by Missguided. I was obviously drawn to it immediately! It is a light suede material so it has been perfect for these odd warm days we have been having in NYC. Anyway, I hope you all are having a great Tuesday! Can you believe it's almost Thanksgiving? I surely cannot. I love the bright colors in the floral print! Happy Thanksgiving! This color is amazing, it's so bright and red. Looking beautiful in this outfit! That jacket looks perfect on you, great piece! Gorgeous outfit! And I love the jacket! I always wear some sort of red in my outfit as well! At least my lipstick is red! I love it! SO cute! 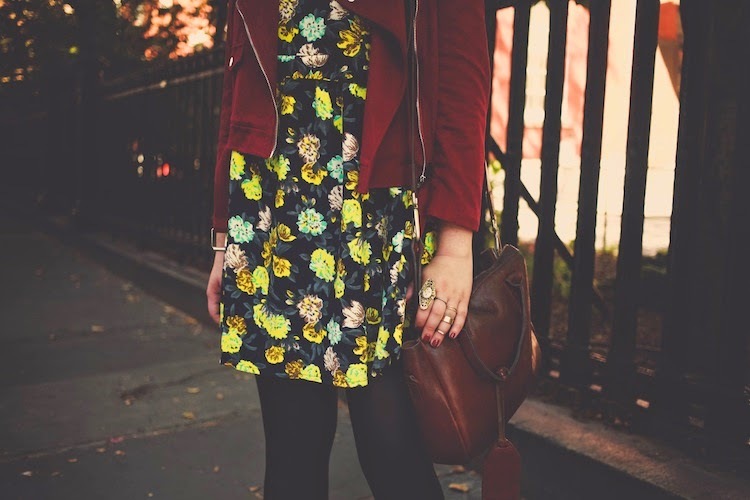 The red jacket is perfect with the dress! I love everything about this outfit. The mix of colors and the pattern is perfect! You look absolutely stunning! I'm so in love with your burgundy jacket! Amazing! That jacket look gret on you, the color is lovely. 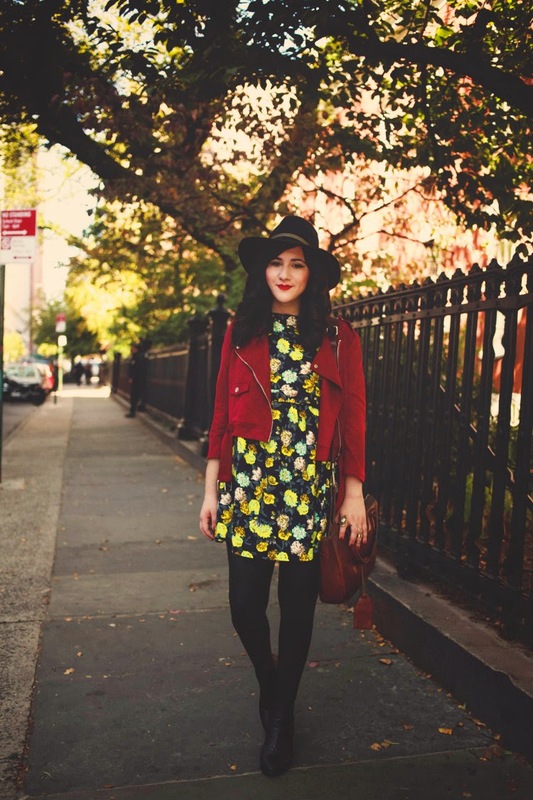 I adore the red jacket in contrast to the printed dress! And I'm obsessed with those textured boots - amazing outfit! pop of red works too well on you! <3 looking good Bonnie! 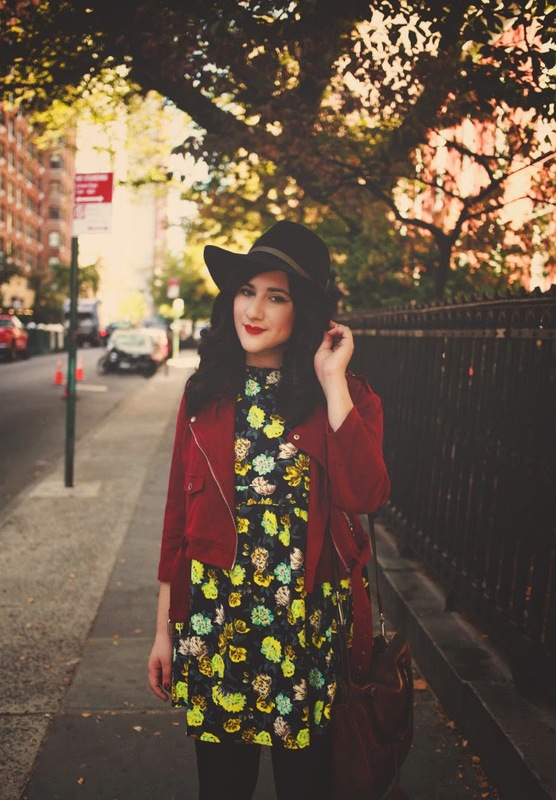 Your Missguided floral print dress is beautiful and your pretty red lipstick looks perfect. Me gusta tu chaqueta ! <3 que linda ! 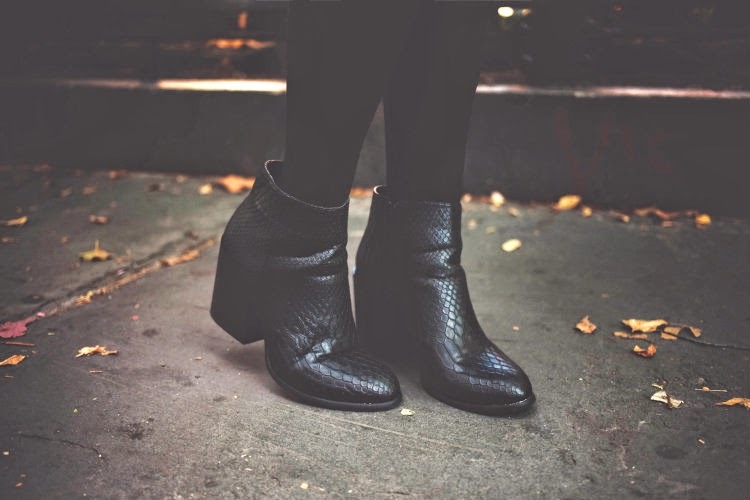 Love those boots, the texture looks incredible! 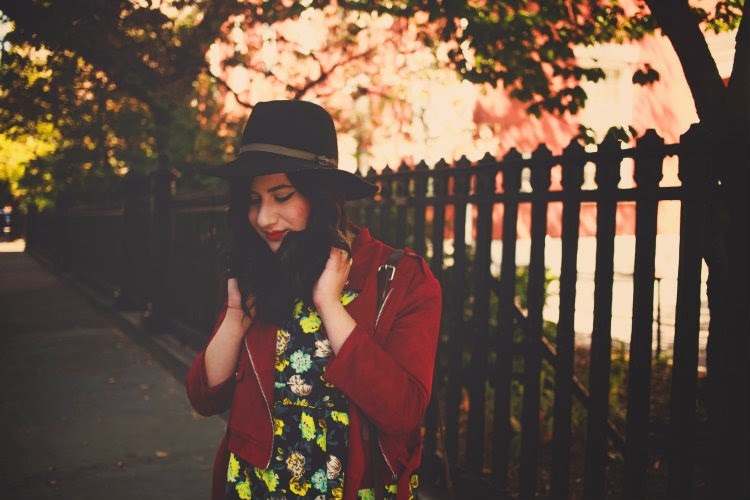 Im so jeluse of your blog and your clothes. Your blog is just amazing. Website yang bagus, sebelumnya izin berkunjung nih, semoga semakin sukses dan jaya. berbagai macam informasi menarik telah dihadirkan oleh website keren ini. terus semangat dan update terus ..
Well I have to say that red is my fevourite color too!! But in this outfit the thing I loved the most was de dress *. * so lovely!! !